Yep, looks like I am. Ceci came back from a day of shopping in Once. In the ’90s she had a clothing store in that neighborhood, so she knows where all the good buys can be found. 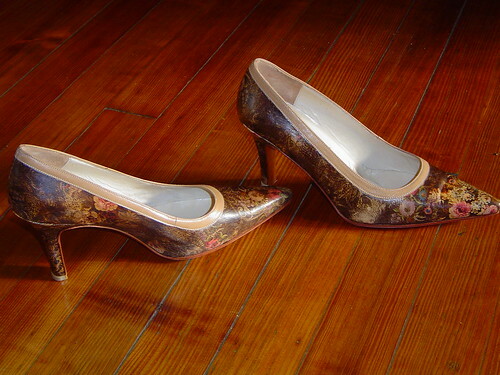 She was delighted to find this pair of shoes for a hundred pesos, a little more than thirty dollars. She tells me that back in Miami at Bal Harbour that shoes like this go for more than three hundred dollars.